You are currently browsing the tag archive for the ‘stationery’ tag. This year for the 2013 National Stationery Show, we have integrated some beautiful still life photography into our booth design and catalog. Our images echo the original look of our cards, evoke an memorable connection to our brand and communicate our strong aesthetic of beauty and creativity. Pops of color from fresh flowers, brightly patterned dinner plates and mercury glass ornaments all come to play! 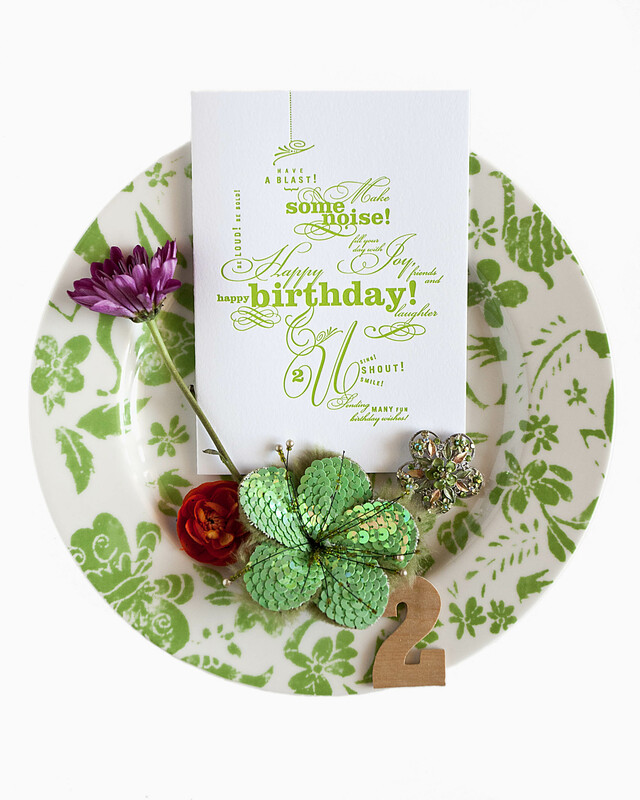 I love flea markets and have collected many frames, cake plates, rulers, coins, spoons, dice, wooden letters & numerals and other little treasures that work perfectly when composed with our letterpressed cards. As a graphic designer, I can happily declare I have now styled photographs and channeled Irving Penn. My hope is as we evolve as a stationery company, the letterpressed cards and photography will expand onto journals and calendars. It’s fun to explore new ideas. Visit us May 19th in New York City, booth 1966. Special thanks to Conrad Firestein, my partner, fiancé, and photographer. He possesses tremendous talent and I am so lucky to have him in my life. 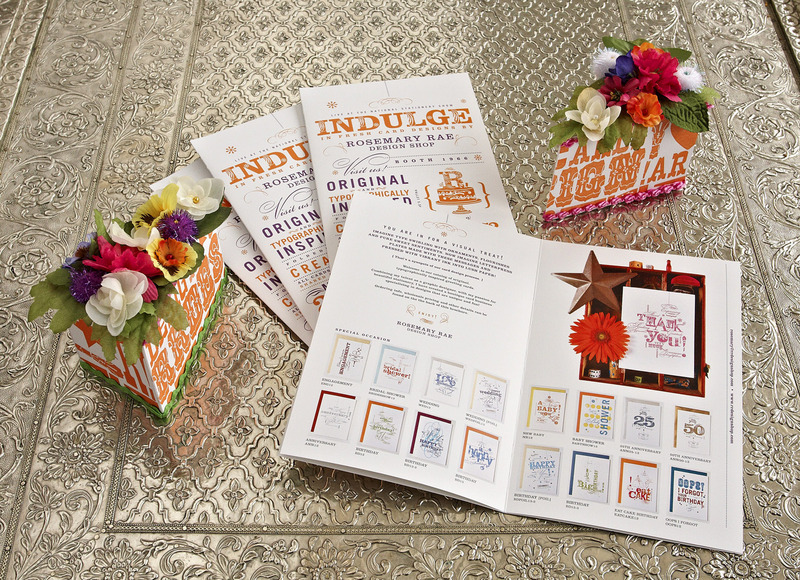 Lots Of Sweet Design Folded Into Our New 2013 Catalog! Our new, beautiful catalogs are printed! Our design folds to fit into an A9 envelope (very convenient for mailings) and opens to reveal our whole collection of 72 typographically inspired greeting cards. All of the photography is by Conrad Firestein, my business partner and fiancé. We collaborated on the images over the last six months: many afternoon photo shoots, styling our letterpressed cards with dishes, flowers, shadowboxes, and small, fun, found objects. The images are also works of art, and will be used throughout the year in our promo materials. April 22-28th is National Stationery Week in the UK — a weeklong celebration of paper, writing and stationery! It would be great to have a celebration of all things paper here in the US, but that’s what the National Stationery show is all about, and we are happy to be participants. The show is fast approaching and we are excited!